At G.BORG High Class Painting & Decorating, our highly trained and qualified decorators complete wallpaper hanging of the highest standard. Working at homes and commercial properties, we always make sure the customer is happy before leaving, and even offer 12-month guarantees with each wallpapering job. When you work with G.BORG High Class Painting & Decorating, we promise to use only the best materials to provide a longer-lasting and higher-quality finish. 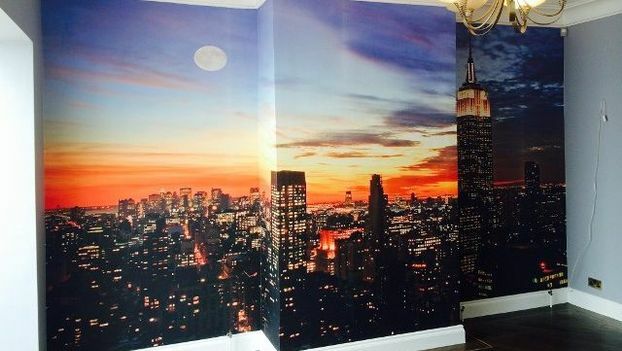 We take great care to source superior wallpapers and materials for the surfaces to be decorated with, so you can be sure of a wallpapering job which is well done and made to last. 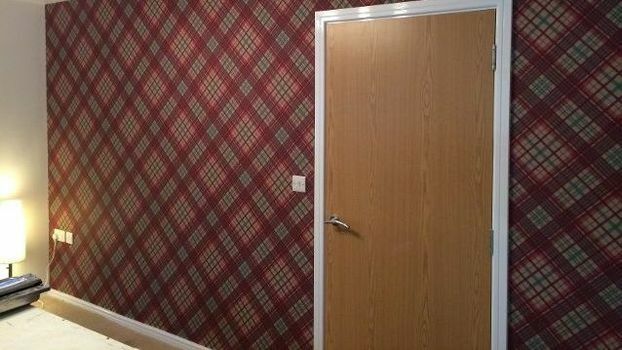 Alternatively, if you would prefer, you can source your own wallpaper and hire us to hang it for you. If you are short on ideas, we offer a free wallpaper consultation service, during which you can scour our pattern books for ideas. Firstly, and most importantly, Murals™ wallpaper are stunning! We have completed lots of jobs using their products, and every time we do we get the same reaction of pure delight from our customers. Murals wallpaper comes as a single image instead of a repeating pattern. We can source any image you want, or you can even create your own. To maintain the high standard of our work, we only use quality prints from a reputable company and the correct materials to hang the wallpaper. The look will transform your room. When we hang the wallpaper, each print comes in several pieces that line up to create the image. We use an "overlap and slash" technique to bring the pieces together and create a full, single image. The finished result will look like a whole piece of paper. They really will get your friends and family talking. For more information about Murals wallpaper, or to book a free estimate, please contact us. Monday – Sunday, 8:00 a.m.-8:00 p.m.